North Korea’s Vice Foreign Minister Choe Son-hui met with officials from Russia and China on Tuesday in an apparent effort to have the North’s Cold War ally on its side amid the ongoing negotiations with the US over its nuclear weapons program. Choe, who has participated in denuclearization talks with the US, met with her Russian counterpart, Igor Morgulov, in Moscow on Monday. A trilateral meeting among Choe, Morgulov and Chinese Vice Foreign Minister Kong Xuanyou was scheduled to take place Tuesday. Choe discussed the situation on the Korean Peninsula with Morgulov, who is in charge of Northeast Asian affairs, Russia’s Foreign Ministry said. The officials also reached an agreement to strengthen coordination on security in the region, it added. Choe made the trip while US Secretary of State Mike Pompeo was in North Korea to explore the possibility of a second US-North Korea summit, and to discuss North Korea’s denuclearization steps in exchange for corresponding measures by the US. Choe’s meeting with Russian officials comes amid mounting speculation that North Korean leader Kim Jong-un is to visit Russia. Kim has already met with Xi three times this year as North Korea seeks to mend ties with China, its diplomatic and economic lifeline, amid tough sanctions against the reclusive regime. 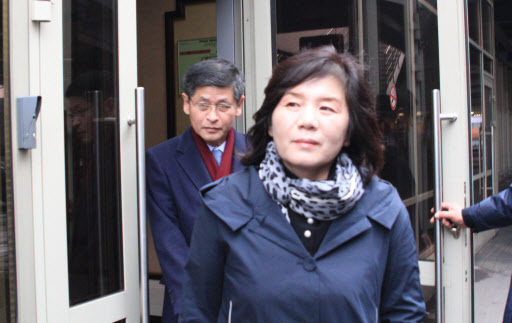 Their relations had worsened over North Korea’s continued nuclear and missile development. Kim has never met Putin. Putin invited Kim to Moscow for a summit through Russian Foreign Minister Sergei Lavrov, who visited Pyongyang in May. Kremlin spokesman Dmitry Peskov said Monday that Putin had extended an invitation to Kim last month to visit Russia, and that Moscow is working on the details of where and when that meeting could happen. Speculation about Kim’s imminent visit to Moscow intensified after a North Korean cargo plane was reported to have arrived in Vladivostok on Sunday. The Air Koryo’s P-914 Ilyushin-76 cargo jet was used in June to carry Kim’s limousine and freight to Singapore ahead of his summit with Trump. On Monday, South Korean President Moon Jae-in also said at a Cabinet meeting that Kim was expected to visit Russia soon to hold a summit with Russian President Vladimir Putin, and that Chinese President Xi Jinping also was likely to visit North Korea soon. Choe’s visit to Russia appears to be aimed at securing support from Russia and China for the easing of international sanctions against the North, and strengthening its bargaining position amid denuclearization talks with the US, experts say. “Choe’s visit appears to be largely aimed at requesting support from Russia and China for sanctions relief amid ongoing denuclearization negotiations with the US,” said Park Won-gon, a professor at Handong Global University. North Korea has increasingly demanded that the US alleviate the sanctions. It appears to be one of the corresponding measures that North Korea wants the US to take in return for its dismantling of a major nuclear compound in Yongbyon. The US is at odds with Russia and China over North Korea sanctions, a major part of the US pressure campaign to lead North Korea to dismantle its nuclear and missile programs. Pompeo expressed frustration at a United Nations Security Council session last month that some countries were not strictly abiding by the sanctions on Pyongyang. At the same meeting, the representatives from Russia and China pushed back, asking the US to relax sanctions in return for steps toward denuclearization by North Korea.